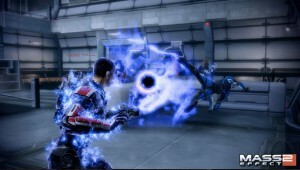 Mass Effect 2 is now available to download from the PlayStation Store. The single-player RPG/shooter from BioWare (developer) and Electronic Arts (publisher) just released on disc a couple weeks ago is available to download to your PS3. And, PlayStation Plus subscribers can play a 60-minute full trial of the game. In Mass Effect 2, human colonies are being abducted by an alien species known as the Collectors. As the revived Commander Shepard, your mission is to find out why. As well as digital downloads, Mass Effect 2 is also available in disc format for PS3, Xbox 360, and PCs in Standard, Collector and Digital Deluxe editions. Click here for pricing from Amazon.com.